Level Best Concrete Flooring are quickly establishing themselves as the concrete flooring contractors of choice for many companies throughout the UK. This couldn’t have happened so quickly without the help and support of key suppliers such as the happy chappy in the photograph, Mr David Giles, Dealer Principal at Glews Garage on the outskirts of Goole. David has been in the motor trade for a long time now and his experience and knowledge in both commercial vehicles and cars has proved invaluable to the concrete flooring contractors. We hope to maintain our relationship with David and his colleagues at Glews for years to come and wish them all the best. 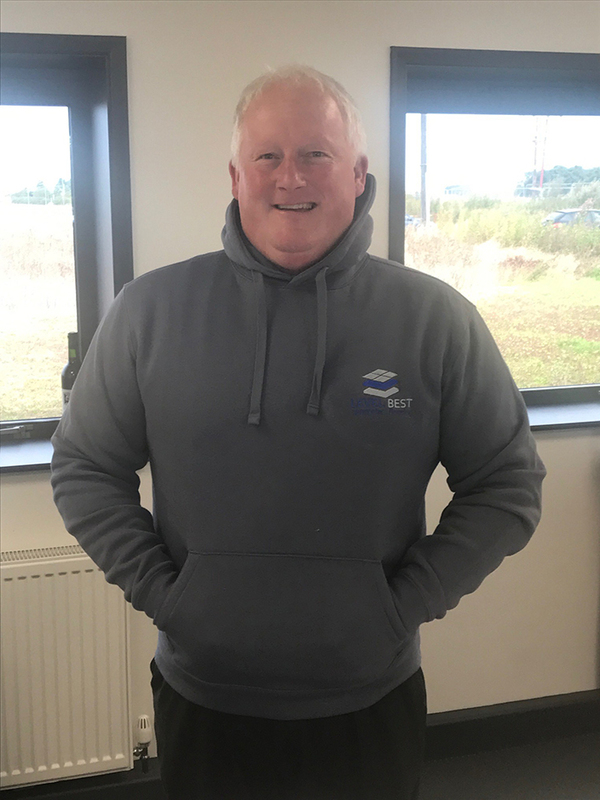 For his troubles David was presented with a Level Best Concrete Flooring hooded sweat shirt and made an honorary part time transport manager for the concreting business.